Congratulations to Dr. Laura Koch on her recent purchase of Enough!! Not only is Enough's sire a multi-National winner, but his dam, Etevja, is the dam of two National winners and one Regional Top Five Sweepstakes colt. Etevja is also a full sister to Ekzalt, Canadian National Top Ten Champion Western Pleasure. *Gawra sold for an average of $400,000 in the 1980's. 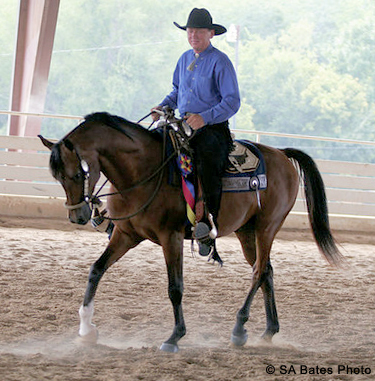 At his first show, Enough was named Western Pleasure Jr. Horse Champion! !